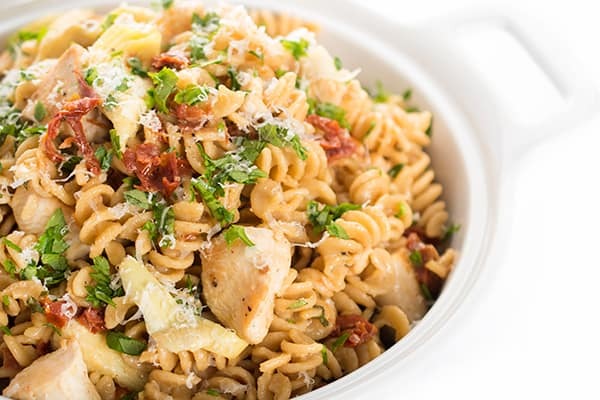 This easy and delicious Italian pasta recipe is filled with large chunks of chicken, tender artichoke hearts and sun-dried tomatoes. Pasta night is the best night in our house, not just for the kiddos (who are pasta-fanatics) but for this busy working mama who is all about a quick and easy weeknight dinner! 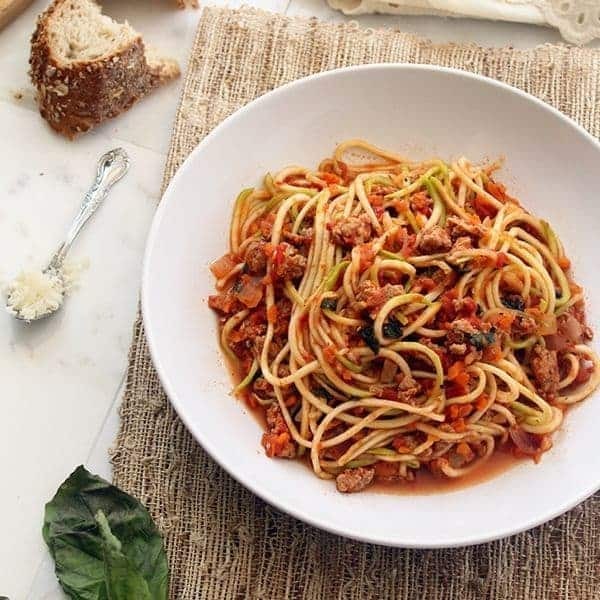 We always have a bag or three of DeLallo organic whole wheat pasta on hand which means I’m never more than 15-20 minutes away from a healthy pasta dinner. 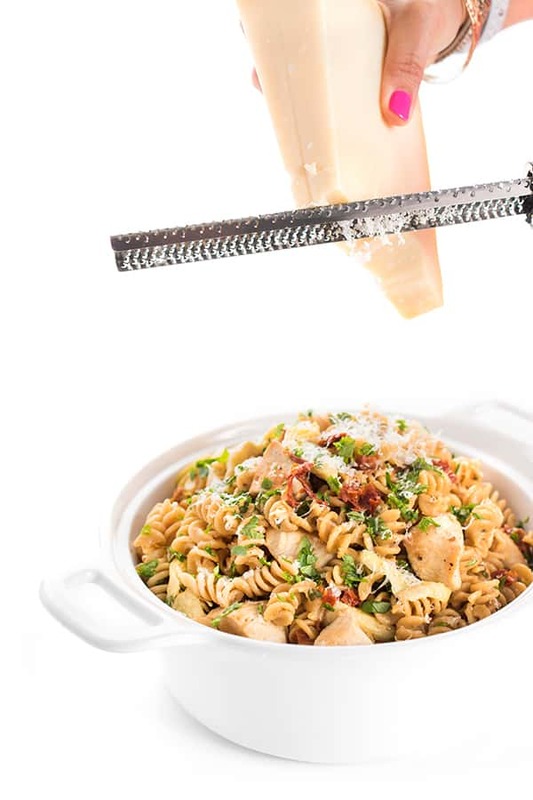 Packed with 7g of protein per serving, the whole grains in the pasta will keep you satisfied for longer avoiding the typical post-pasta sugar crash. We happened to have fusilli on hand but any short cut pasta will work such as penne or bowties. To dial up the flavor even further, I add fresh garlic, minced sun-dried tomatoes and quartered artichokes to the mix. 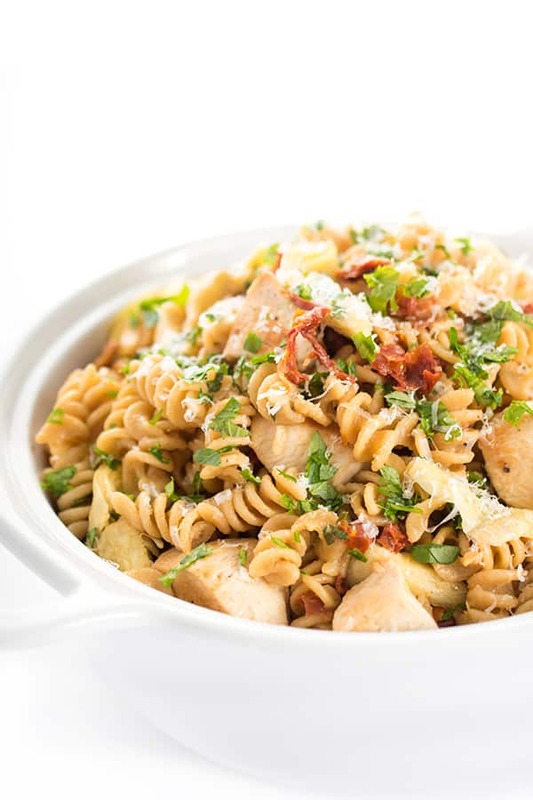 Before serving, I toss the chicken pasta with freshly grated Parmesan cheese and fresh basil. It doesn’t get any easier or more delicious than that, am I right? 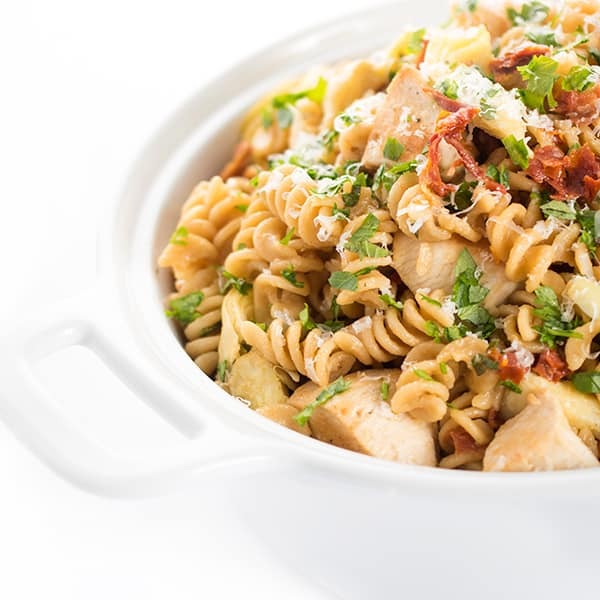 8 ounces DeLallo Whole Wheat Organic Pasta any short cut such as fusilli, penne, bow-ties, etc. 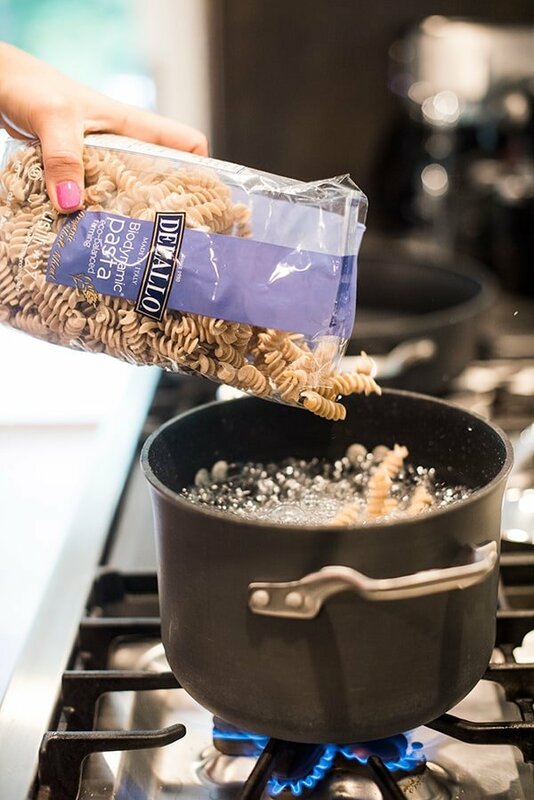 Cook DeLallo Whole Wheat Organic Pasta according to package instructions, reserving 1 cup of the starchy cooking liquid for later. Heat a deep skillet over medium-high heat and drizzle with 1 tablespoon of the olive oil. Sprinkle chicken cubes with salt and pepper and add to the hot pan. Saute chicken until browned, about 5-7 minutes, then remove from pan using a slotted spoon; set aside. Add the white wine to the hot pan to deglaze, using a wooden spoon to scrape up all the browned bits. Add the garlic to the pan and heat until fragrant, about 30 seconds, before stirring in the artichoke hearts, sun-dried tomatoes and reserved chicken cubes. Stir the cooked pasta into the pot along with the remaining 1 tablespoon olive oil and parmesan cheese. If the pasta seems a bit dry, add in a little of the reserved starchy cooking liquid. Season with salt and pepper to taste before stirring in the basil before serving. Serve warm. 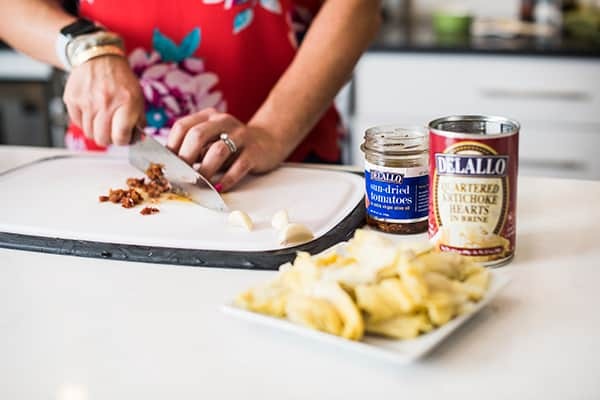 Disclosure: I am honored to be a brand ambassador for DeLallo. Thank you for supporting the brands that make The Lemon Bowl possible. All thoughts are my own. 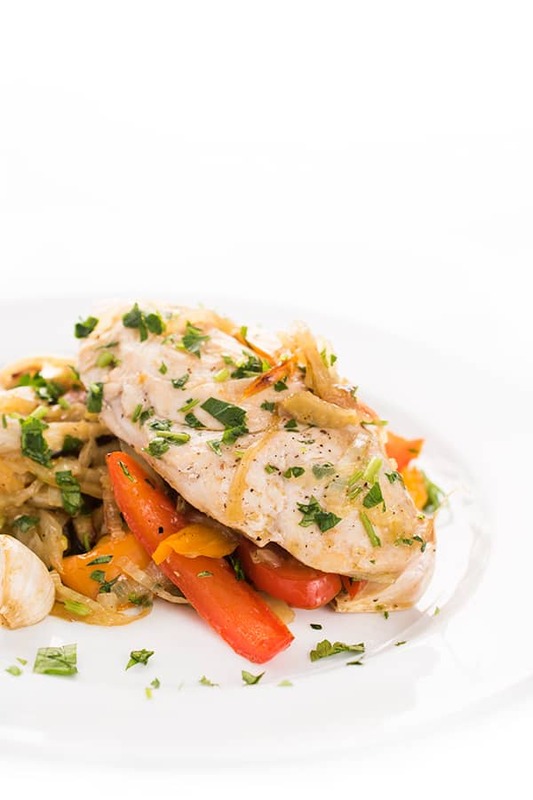 Want more delicious and healthy dinner ideas?? Head over to my Pinterest board! This looks delicious! Saving for my next busy night! 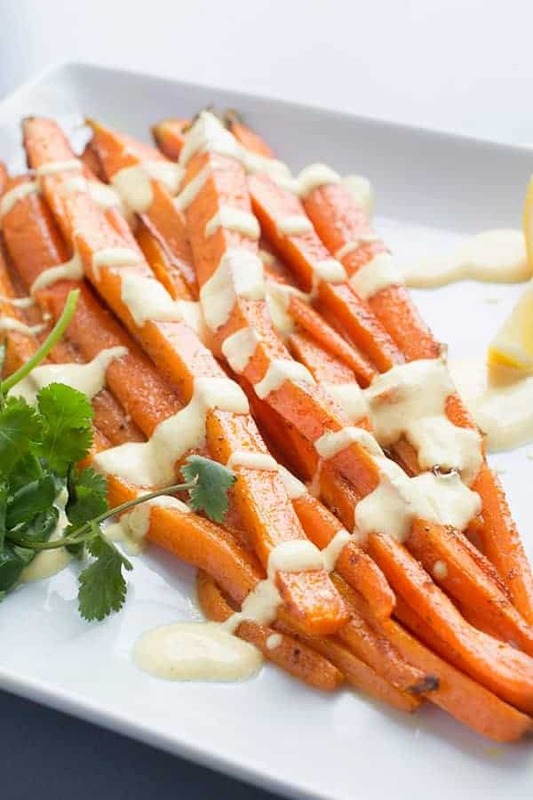 Love simple recipes that deliver so much flavor! Comfort food dinner for the win! Love how easy this is! 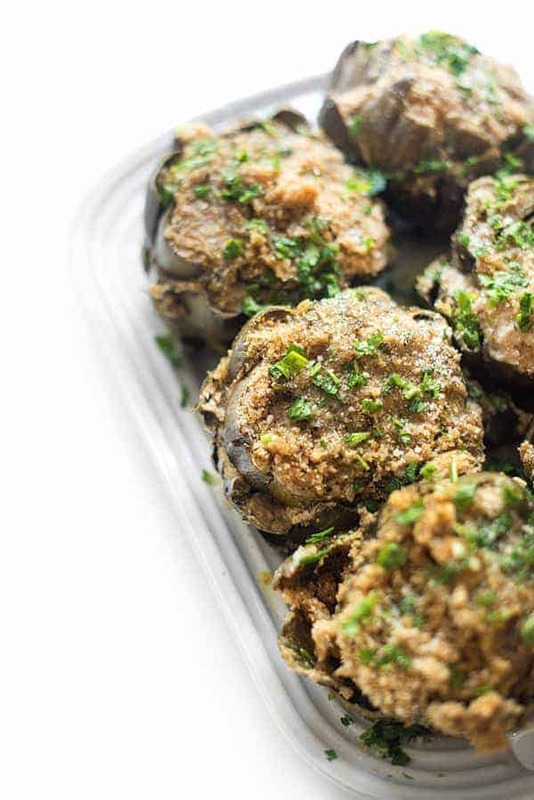 Perfect for busy weeknight dinner! 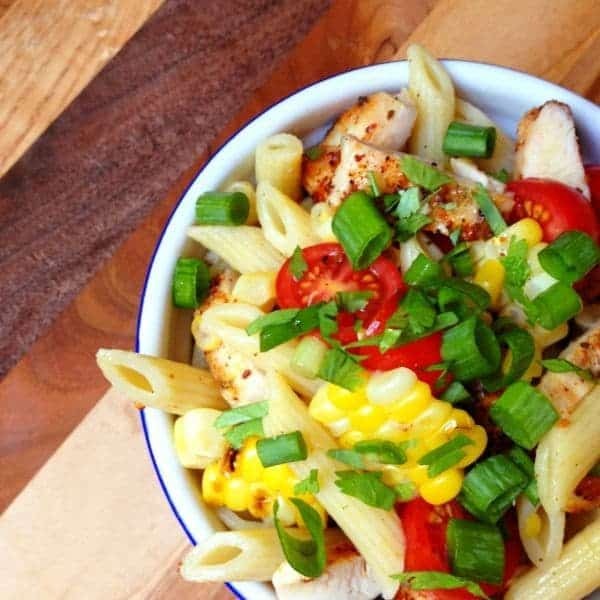 Looks delish and I love how easy it is to put together! You had me with the sun dried tomatoes, I canNOT resist them!! This is such a colorful, refreshing recipe! Thank you for sharing this with us! My kids LOVE pasta, I’ll have to try this! Definitely putting this on the menu this week! YUM!